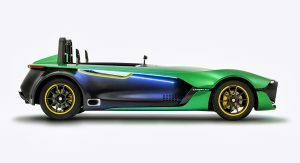 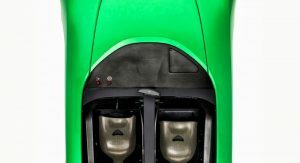 The mystery surrounding Caterham Cars’ new model was solved today as the sports car manufacturer unveiled the AeroSeven Concept at the Singapore Grand Prix. 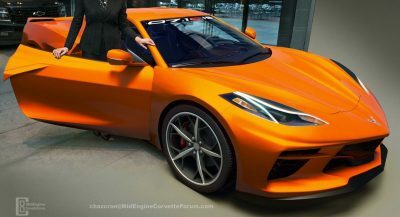 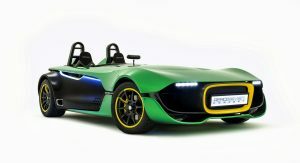 As the first model designed with significant input from all of the Caterham Group’s specialist business arms, the AeroSeven Concept showcases “the brand’s intentions in terms of product engineering processes, speed to market, as well as a hint to its styling direction for future models,” according to the release. 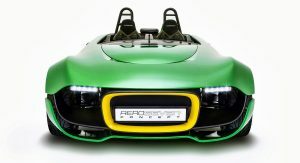 The all-new sportscar that is being co-developed with Renault and is scheduled to launch in early 2016, will also be influenced by the AeroSeven Concept’s styling. 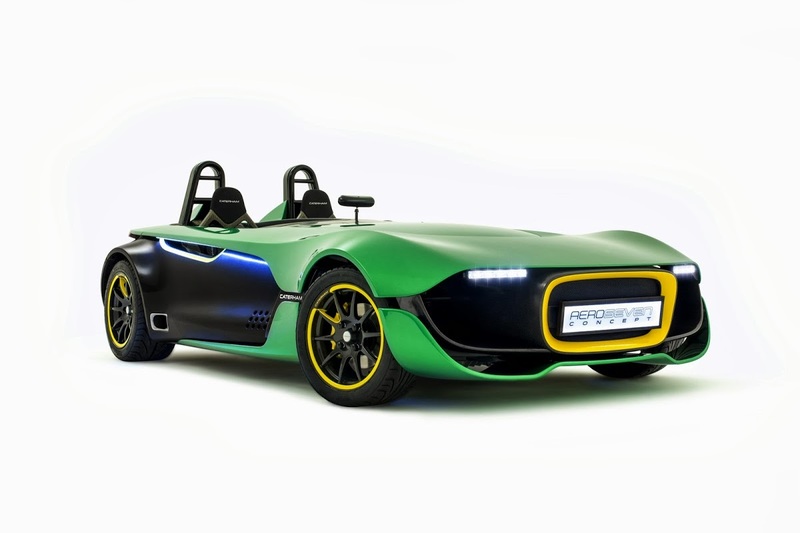 The study features traction control, a first for a Caterham. 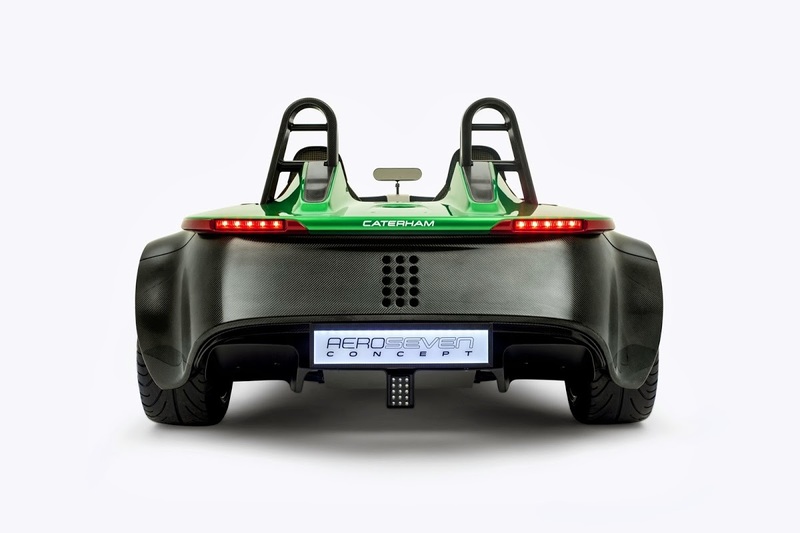 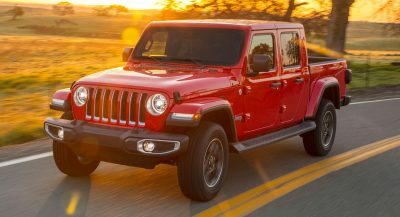 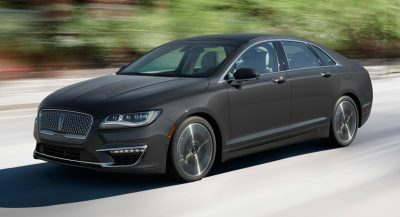 This will allow drivers to enjoy fully adjustable traction and launch control functionality. 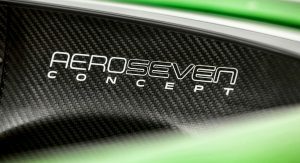 Based on an updated Seven CSR platform, the AeroSeven Concept features a carbon fiber body and is equipped with race car-inspired features, including aerodynamic styling, an exclusive steering wheel with driver-focused functionality, and a fully active Graphical Display Unit (GDU). 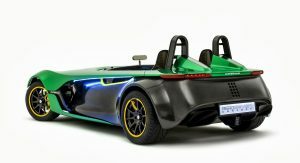 The car reaches 100 km/h (62 mph) from standstill in under 4 seconds, thanks to its lightweight body and the 240PS (237hp) from a high-revving, naturally-aspirated 2.0-liter engine, the same one used in the Caterham Seven 485. 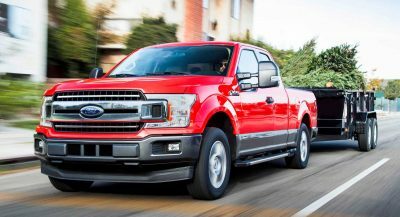 The Ford Duratec-based unit delivers its maximum output at 8,500 rpm and is one of the world’s highest revving EU6-compliant engines. 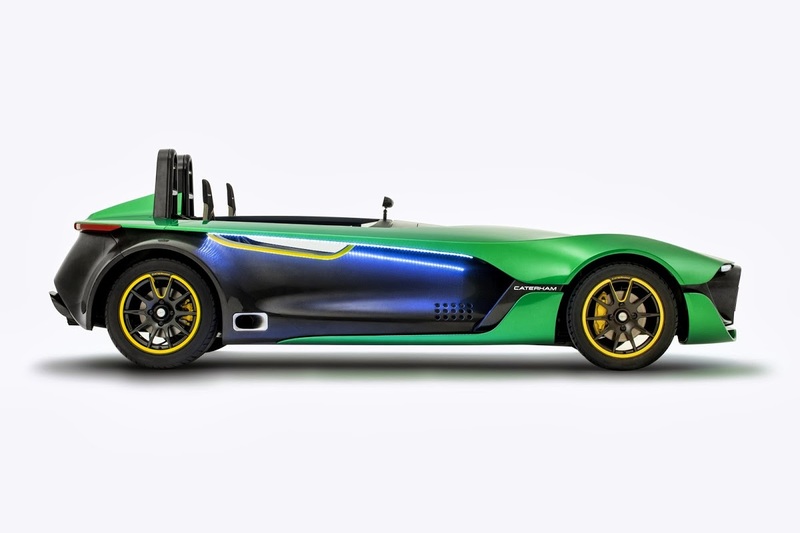 The unit is linked to Caterham’s six-speed manual gearbox driving the rear wheels. 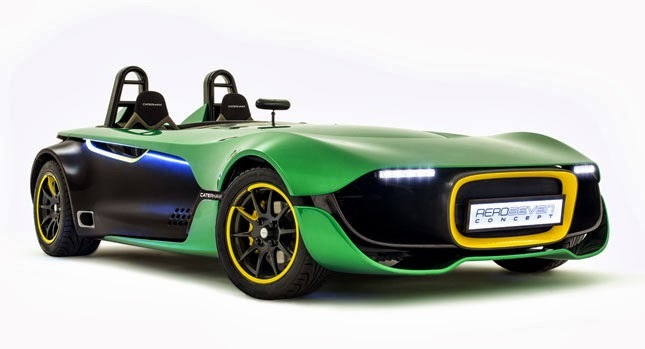 The AeroSeven Concept’s design is very different from previous Caterham products as it has full bodywork and a new shape that complements the revised chassis. 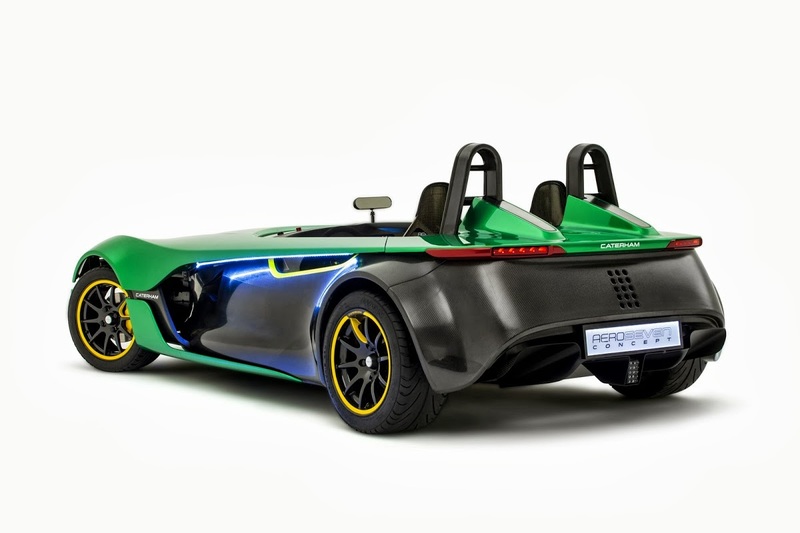 The car incorporates a completely new rollover structure that helps improve aerodynamic performance and aesthetics. 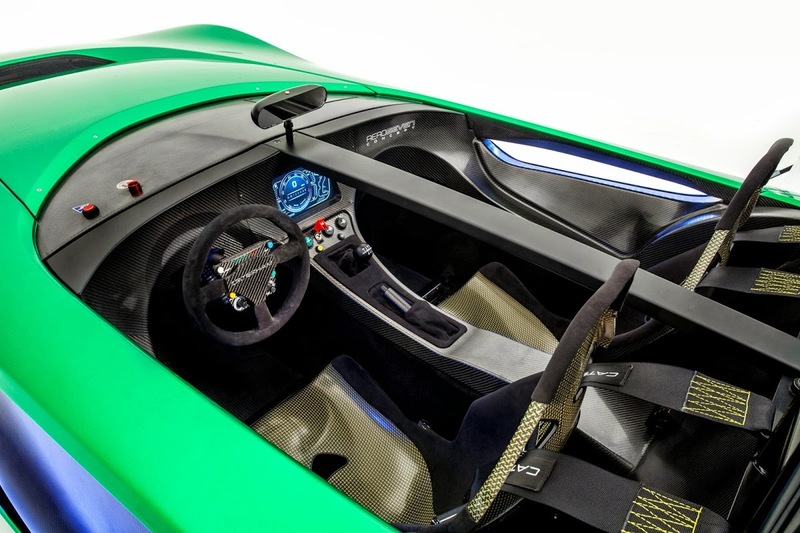 The interior of the car features the graphical display unit (GDU) that integrates all display and instrumentation in a high-resolution, centrally mounted unit. 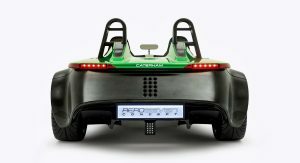 It displays information such as engine speed, gear selection, vehicle speed, traction and brake settings in a real-time 3D rendered display. 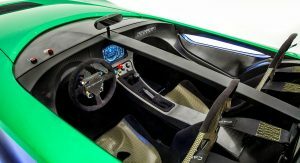 The race-inspired steering wheel includes “Road” mode, “Flash-to-Pass” and “Pit Lane Speed Limiter” functions, while the default setting is “Race” mode. 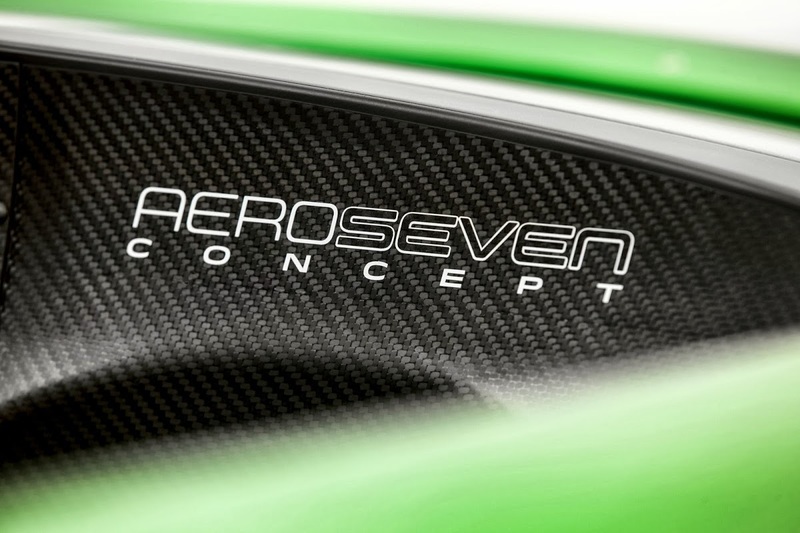 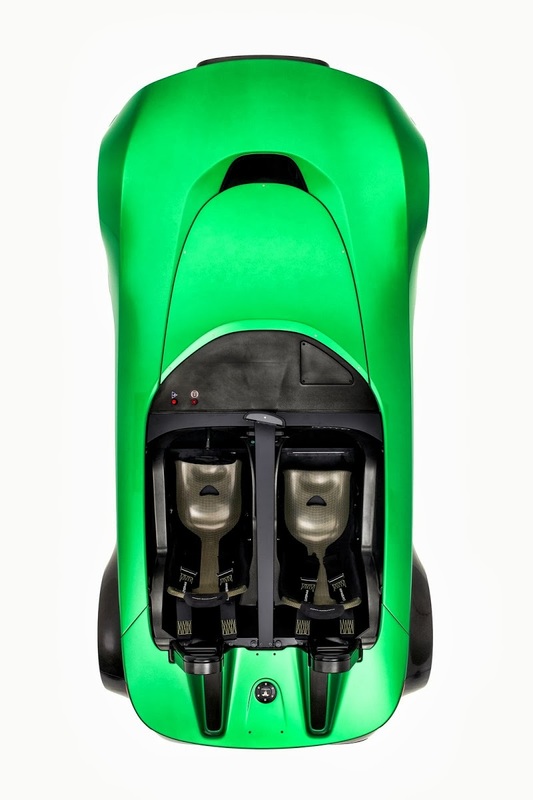 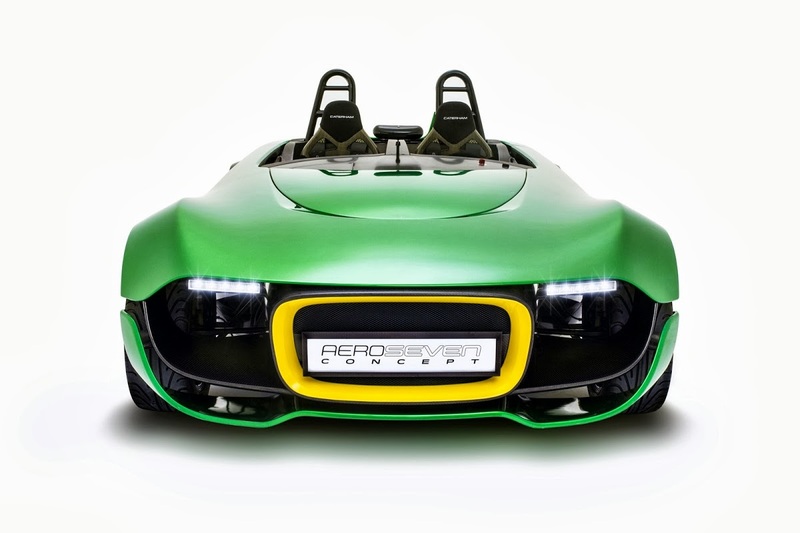 The production version of the AeroSeven Concept will be built at Caterham Cars’ plant in Dartford, UK.